Korn are back with their nostalgic ninth studio released album, ‘Korn III – Remember Who You Are‘. It’s nu-metal for the win. Yeah, that’s right. This welcome blast from the past has been anticipated for a very long time. We are finally going to hear Korn at their most brutal and meaningful. Jonathan, Fieldy, Munky and new (ish) drummer Ray Luzier sound defiant, proud and heavy as hell – you’re going to love it. Producer Ross Robinson has a massive repertoire of bands that compliment his respectable CV, ranging from Slipknot, Norma Jean, Deftones and Fear Factory. Not to mention that he was responsible for Korn‘s self-titled album and then the career defining ‘Life Is Peachy‘. While in our opinion the band will never release another album on the same level, this record has definitely brought back that raw and unashamedly honest sound that we associate with Korn. They have definitely taken a step back to the old school rap-rock sound, giving Jonathan a chance to spill his heart and the band…well, they get to jump around just like it’s 1999. 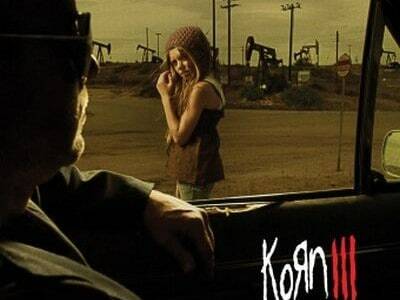 ‘Korn III‘ has the richness and intensity that many long-time fans have missed. Ranging from the demented laughing and fierce alterna-metal structure of ‘Never Again‘ all the way to the mosh worthy chorus of ‘Pop A Pill‘. The most rounded track of the album though is ‘Are You Ready To Live?‘ It has a ferocious slap-bass that only Fieldy can provide, backed up by the hearty, beat-led angst that we know and love. You can definitely tell that the band are feeling re-invigorated and strong. For this album the four-piece have returned to their break-neck antics perfectly captured on first single ‘Oildale (Leave Me Alone)‘. Check out the review for this corker here. To summarise, this album is a definite work of art and you will not be disappointed…we promise. Korn will be gracing the stage at this year’s Ozzfest which hits the London O2 Arena on the September 18. Are you ready?